The American Foundation for the Blind is dedicated to promoting awareness of the latest research, resources, and news in the blindness field. The Journal of Visual Impairment & Blindness is the essential professional resource for information about visual impairment (that is, blindness or low vision). 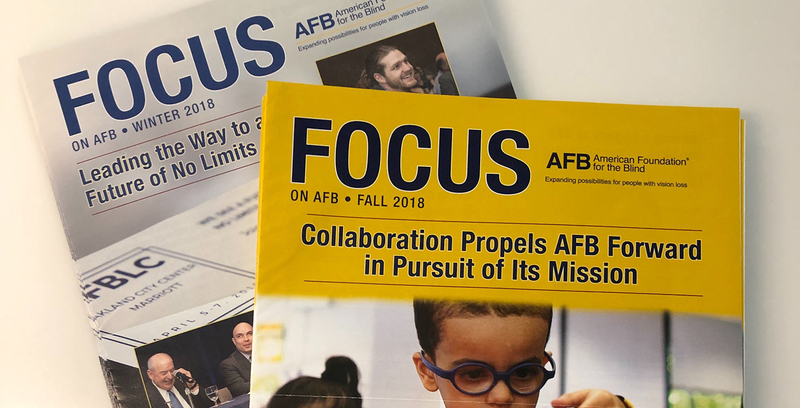 The AFB Blog focuses on employment issues for people who are blind or visually impaired, broadening access to technology, advocacy on behalf of Americans with vision loss, and more. Recent articles from the media featuring AFB, our experts, and issues related to blindness and vision loss. AFB employs numerous experts well-versed in a wide range of topics, including assistive technology, ADA compliance, employment issues, education issues, and age-related vision loss, to name just a few. AFB-issued news, announcements, and statements.